The world’s most iconic Great Barrier Reef experience! Based in Port Douglas and Cairns in Tropical North Queensland, Quicksilver is proudly Australia’s most awarded reef cruise company. Wavedancer, offers the excitement of big ship sailing combined with the ultimate in comfort. As you set sail for one hour's sailing from Port Douglas to the idyllic Low Isles, let our crew pamper you in the luxurious air-conditioned lounge or soak up the sun and sea air under the sails on our expansive deck. Great Adventures is based in Cairns and operates an exciting range of day tours to the Great Barrier Reef. Our modern highspeed catamarans depart daily to whisk guests away in comfort for a day of discovery and adventure in this natural wonder of the world. Green Island Resort is located just 27 km offshore from Cairns on beautiful Green Island, Tropical North Queensland. With first class service we offer a unique blend of luxurious accommodation and unparalleled access to the magnificent Great Barrier Reef. Pro Dive is Cairns' premier Dive School and Outer Reef liveaboard dive operator. Pro Dive specialise in 3 areas, dive courses, 3 day 2 night live a board dive trips for certified divers and retail sales of dive, snorkel and water sports equipment. Set sail aboard the 32 metre luxury sailing catamaran, Ocean Spirit, for a day to remember with a wide range of activities to fully experience Michaelmas Cay’s unique reef environment. Designed for personalised dive and snorkel adventures, Poseidon Outer Reef Cruises departs daily from Port Douglas to take you on a journey of discovery. Quicksilver's environmental division, Reef Biosearch, was founded in 1986 with the aim of combining tourism, education and research, highlighting our passion and commitment to the future sustainability of the Great Barrier Reef. Let Seawalker’s expert guides show you the wonders of the reef, as you stroll along the sea floor. 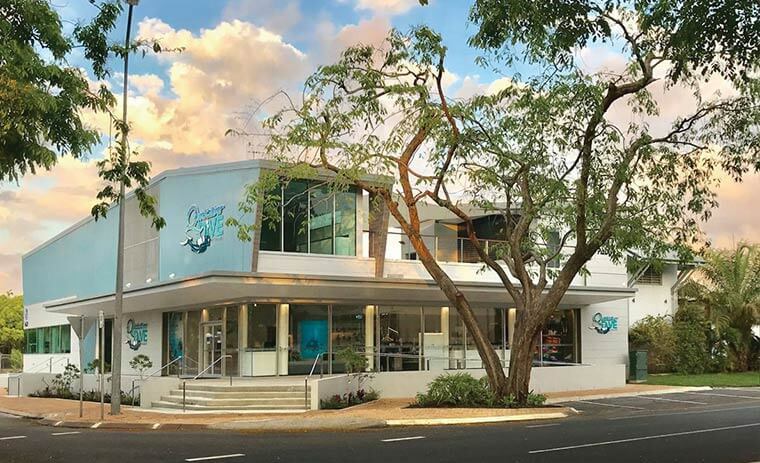 A pioneering reef tourism operator, the Quicksilver Group is Australia’s leading Great Barrier Reef cruise company and one of North Queensland’s largest private employers. Quicksilver Dive is Port Douglas’ first purpose built 5 Star PADI Dive Facility is now open and offering a range of PADI courses; Open Water, Advanced and Professional dive certifications.